International customers please contact us at windrush@plateautel.net for shipping quote. Fragrances subject to change. Please email us at windrush@plateautel.net for current list. 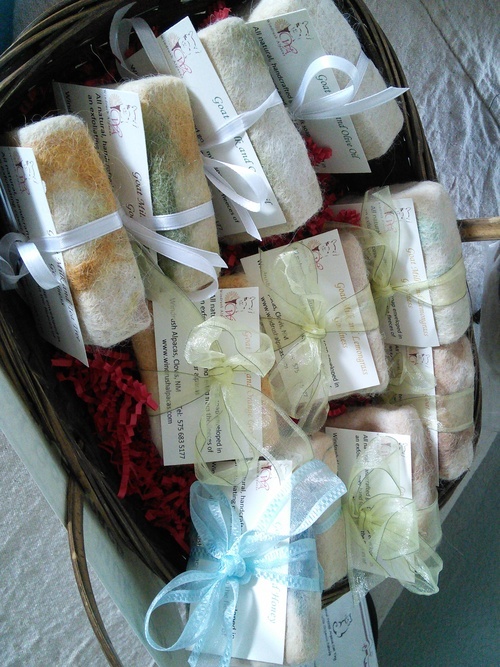 Natural nourishing goat's milk soap, covered in a soft felted wrap of alpaca makes for a luxurious bathing experience. Goat's milk soap is very close to the natural ph of human skin. 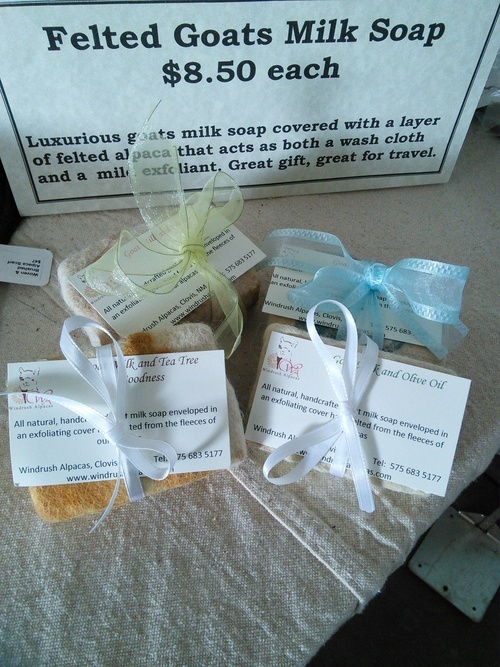 None drying and nourishing you will fall in love with goat's milk soap once you start using it. The felted wrap of alpaca acts as a built in wash cloth and also provides a mild exfoliation for your skin. As the soap shrinks so does the alpaca felt. Great for traveling, providing scent in a clothing drawer or as a lovely gift. 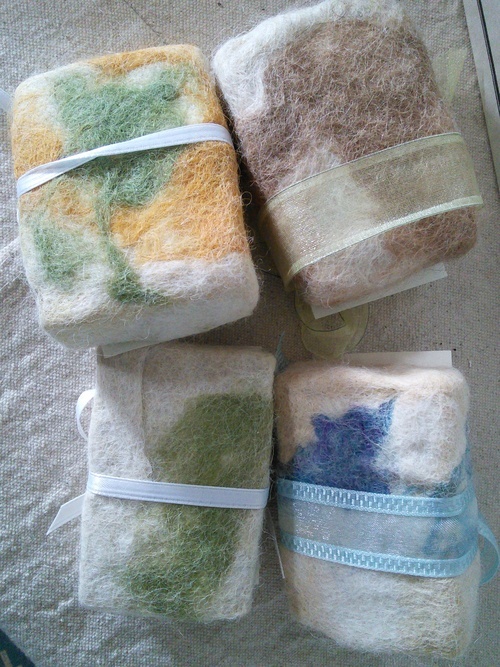 Once you start using these alpaca felt covered goat's milk soaps you will be addicted!